Celtic Footstep worked with Gene Courtney, organizer of the class of 57 Princeton Reunion on a customized programme for his fellow classmates from one of Americas most prestigious universities, Princeton. This collaboration resulted in a 6 night itinerary based in Galway City on Ireland's Wild Atlantic Coast. The delegation from Princeton University arrived in the city (Sunday 24 May) for a customized group tour which comprised of a week of meetings, academic lectures and cultural events specially organized by Celtic Footstep Tours for them. As part of the trip, this 40-strong group spent a day at the National University of Ireland, Galway (NUI Galway) where they were personally welcome by Dr James Browne, President of the University in his private rooms. The group were following in royal footsteps as one week earlier their Royal Highnesses, Prince Charles, the Prince of Wales, and the Duchess of Cornwall were welcomed in the very same room! Later that morning they enjoyed a lecture on Irish drama from Professor Hubert McDermott, NUI Galway and member of the university's governing authority in addition to a tour of the Abbey Theatre Digitisation and Archive at the university by Patrick Lonergan, Professor of Drama and Theatre Studies at NUI Galway and John Cox, University Librarian. While here, the Princeton graduates, many of whom have had exceptional careers in government, science, medicine and law, attended a number of presentations from local academics and experts including Donall O' Braonain from Acadamh na hOllscolaiochta Gaeilge, NUI Galway on Irish language and traditions, a talk on the history of Galway from local historian and author Peadar O'Dowd and Dr Riana O' Dwyer who spoke on Irish Literature in English: Landscape and Literature; W.B. Yeats and Lady Gregory. The group continue their 'Royal Experience" as they also enjoyed a visit to the Burren just like the Royal Couple did during their historic visit to Ireland the previous week. In Kilfenora, they enjoyed an Illustrated talk from local expert Tony Kirby on the story of the Burren and heard why the Burren is the most extensive limestone pavement landscape in Europe and why the Burren is one of the richest archaeological landscapes in the north west of Europe. 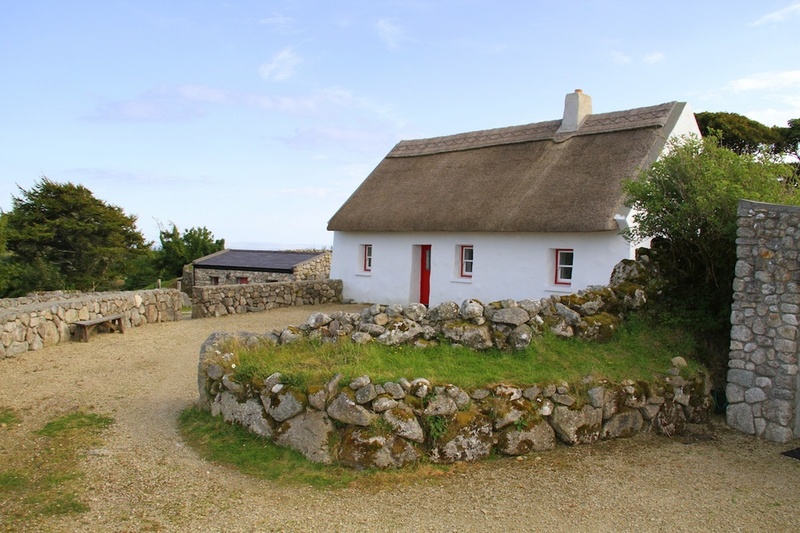 Other highlights included a private visit to Cnoc Suain with Dervla Standun to learn about Irish Traditions and hear Gaelic spoken in a very special and unique setting. There was also a tour of Connemara with lunch in the luxurious Ashford Castle and a private cruise on Lough Corrib with dinner and entertainment and Irish Coffees made by a World Champion. Click here to listen to Gene Courtney's interview on local radio station Galway Bay FM regarding his experience of organizing a group tour in Ireland. Newer PostSt Francis University Alumni Group Return to Ireland - Home of their Founding Fathers.